Healing & happiness begin here. We invite you to sign up for our e-newsletter and stay up-to-date on packages and promotions as well as exciting workshops and classes available at our Houston yoga studio. Unify your body, mind and spirit at our energizing Houston yoga studio. We look forward to welcoming you into our community! Weekly group classes available to all levels of experience and ability. See you on the mat! The specialized massage therapists at Nurture Soul are committed to your comfort and satisfaction. 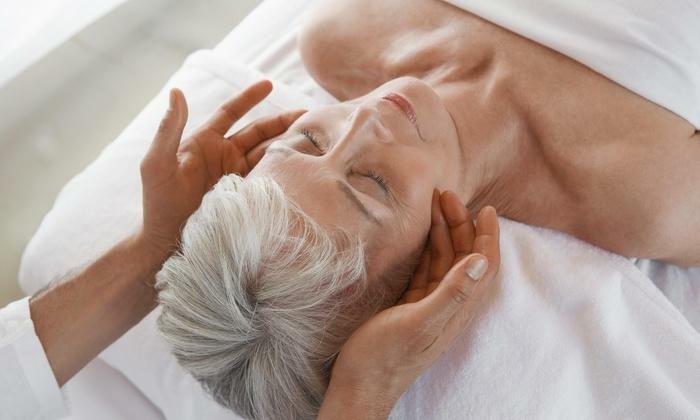 Massage has been found to improve circulation, joint range-of-motion and flexibility. It can reduce many common ailments such as stress, muscle tightness, aches and pains - even anxiety disorder and depression symptoms. This is your time to relax and escape. Reiki Healing is a Japanese technique for stress management, reduce anxiety disorder and depression symptoms increasing the relaxation response that also promotes healing. It is administered by "laying on hands" and is based on the idea that an unseen "life force energy" flows through us and is what causes us to be alive. If one's "life force energy" is low, then we are more likely to get sick or feel stress, and if it is high, we are more capable of being happy and healthy. Find out more about group class offerings and wellness services. Stay up to date on all that Nurture Soul has going on!